Achieving a complete response (CR) following ABVD chemotherapy offered the best chance for survival for patients with chronic lymphocytic leukemia (CLL) who developed Hodgkin lymphoma (HL) following Richter transformation, according to a retrospective study published in the American Journal of Hematology. “The achievement of CR with ABVD was the strongest significant and independent predictor of survival,” lead author Francesca Romana Mauro, MD, PhD, and co-investigators wrote. “While the median survival of patients who achieved CR was over 17 years, it was only 7 months for those who failed to achieve a CR. From July 1994 to December 2015, 33 (0.7%) of 4680 patients with CLL being treated at 10 medical centers in Italy developed biopsy-proven HL. Nearly 80% of patients had stage III/IV disease and half of patients had an IPS of 4 or higher. Median age was 61 at CLL diagnosis and 70 at HL diagnosis. The median interval from CLL to the diagnosis of HL was 90 months (range, 0-258). CLL and HL were diagnosed simultaneously in 3 cases. More than 80% of patients had been previously treated for CLL prior to the diagnosis of HL and of those, 48% were diagnosed within 12 months of their final CLL treatment. Median number of prior treatments was 2 and 67% of patients had received fludarabine. Twenty-two patients (66.6%) were treated with the ABVD regimen. 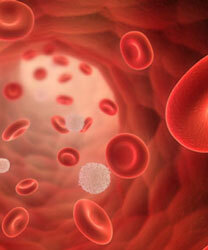 Six patients received rituximab (Rituxan) along with ABVD. The median number of administered courses of ABVD was 6 (range, 2-6) and 12 patients (55%) received 6 courses. The overall response rate (ORR) was 77.3% for patients treated with ABVD, with a CR of 68%. Researchers observed a significantly lower CR rate in patients with an IPS ≥4 compared with those who had IPS ≤3 (27.3% vs 81.8%; P = .03). Patients who were diagnosed with HL within 12 months of their last CLL treatment also had a lower CR rate (45% vs 55%; P = .057). Prior treatment with fludarabine and the addition of rituximab to ABVD did not have a significant effect on CR rate. Twenty-two patients (64%) in the study died; HL was the cause of death for 15 (71%). Four patients died of infection and 2 died of heart failure. Median survival from HL diagnosis was 37.8 months. As with CR, treatment with fludarabine and the addition of rituximab to ABVD did not have a significant effect on survival. Pallawi Torka, MD, assistant professor of oncology in the Lymphoma & Myeloma Division at Roswell Park Cancer Institute, reviewed the findings for OncLive. She said that treating HL-Richter syndrome (HL-RS) is challenging because patients tend to be elderly, have multiple co-morbidities and poor bone marrow reserve, and are at increased risk for cardiac complications. However, she added that “ABVD is a worthwhile frontline regimen” in patients with good performance status (PS) and a low comorbidity score. Mauro FR, Galieni P, Tedeschi A, et al. Factors predicting survival in chronic lymphocytic leukemia patients developing Richter syndrome transformation into Hodgkin lymphoma [published online April 18, 2017]. Am J Hematol. doi: 10.1002/ajh.24714.